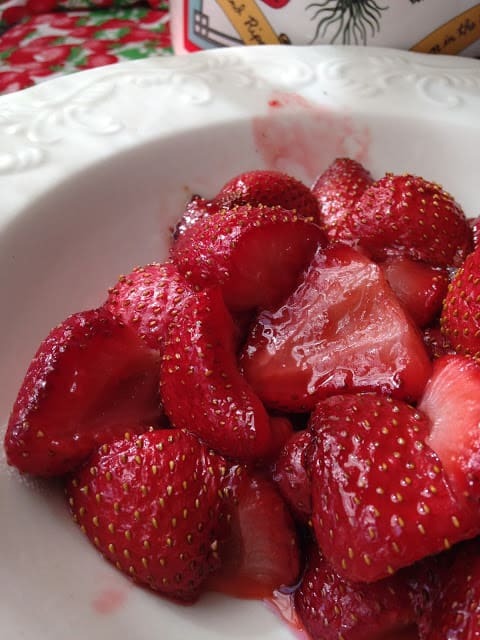 With strawberry season fast approaching take advantage of the season and get ready to start picking fresh strawberries. It’s almost time to over-indulge in one of life’s simply pleasures. 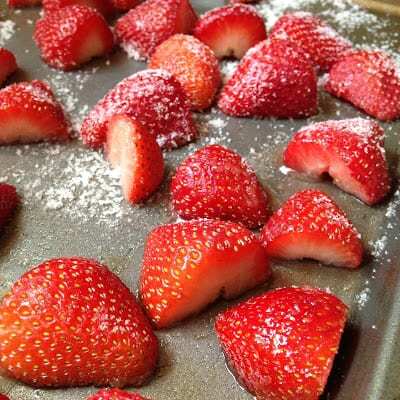 Strawberries are more often used fresh but there are many benefits to letting strawberries spend time in the oven. When you roast strawberries they become very soft and tender. 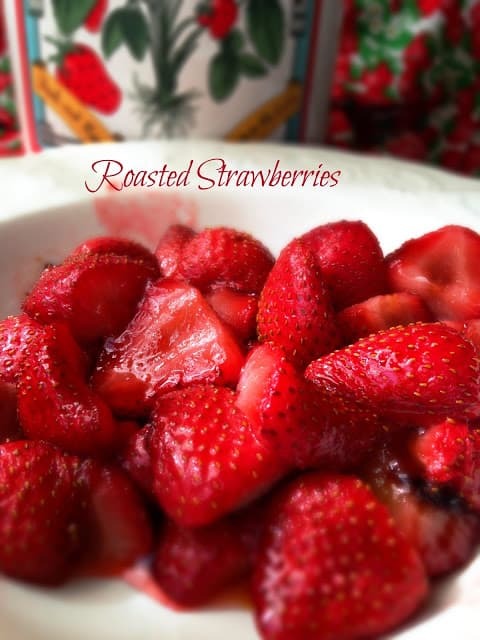 Their flavor becomes more intense as some of the water inside the berries evaporates leaving behind the intense concentrated, sweetness of the berries, along with a wonderful, ruby red, sweet juice. Tossing the berries with sugar, honey or balsamic vinegar adds flavor and the sugar helps to draw out the excess juice adding to the goodness factor. For a Quick and Easy Dessert Idea: Chiffonade a few mint leaves, toss leaves with the warm roasted strawberries, add a dollop of whipped cream and serve. You can also toss the chiffonade mint leaves with the warm roasted strawberries with vanilla bean ice cream. So simple, yet so scrumptious. 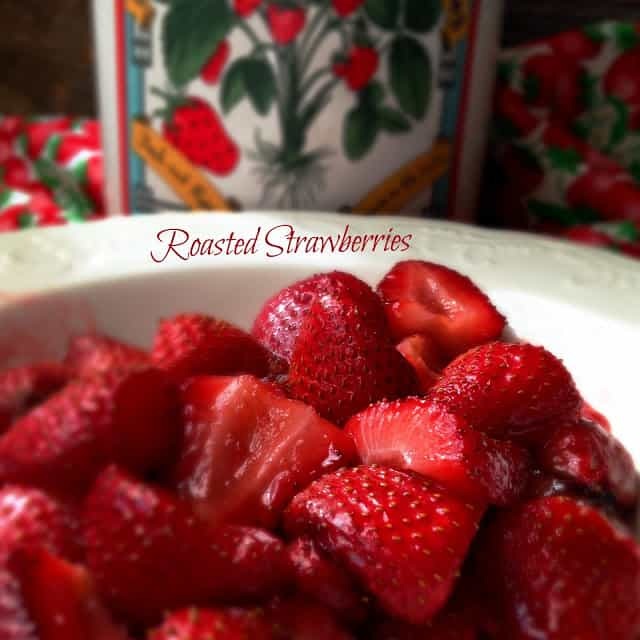 Once roasted the berries can be used to top ice cream or other desserts such as shortcake, pound cake, and/or biscuits. 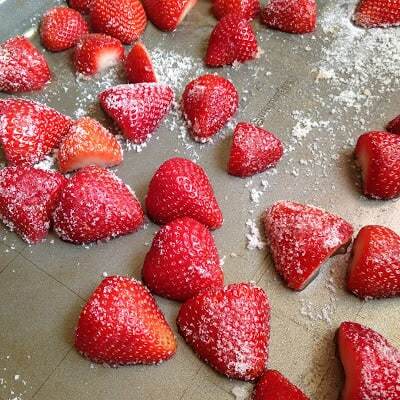 Cut hulled strawberries in half or in quarters, depending on how large the strawberries are. Transfer to a large bowl and toss with sugar and vanilla extract. Transfer berries to prepared baking sheet and arrange in an even layer. Bake 20 to 25 minutes or until berries are tender but still have some shape to them. Allow to cool slightly before using to allow excess juices to be released from the berries.